Want to reach an active Muslim audience with real purchasing power? Advertise on the Halalfire network (zabihah.com and salatomatic.com), one of the most visited Muslim networks on the Internet, with nearly 75 million pageviews and 15,000,000 unique users per year (August 2013). Target only your region, or reach out to everyone! Muslims rank among the highest per-capita income communities in North America, and visitors to zabihah.com represent the cream of this crop - technology professionals, business travelers, and young urban Muslims with plenty of disposable income. For example, a large percentage our users access zabihah.com through their mobile phones. They are passionate about their community, the use of technology, and the quality of what they purchase - and you can best reach them here! What type of ad would you like? There are two basic types of ads - those that run across the site and are available to all site visitors, and location-sensitive ads that run when a user is near a particular geographic area. Which one are you interested in? Location-based: Select this if you want your ad to be shown to zabihah.com visitors within 50 miles of a particular location. 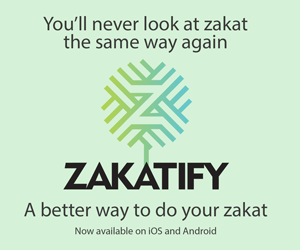 Site-wide: Select this if you are trying to target all zabihah.com visitors. You can also limit views to a particular country. What type of ad would you like to run? USD$30.00 per CPM These are the ad types that are available on zabihah.com. The 300x250 ads show up on the sidebar throughout the site, and the 728x90 ads show up on the top, middle,and bottom of each page. If you wish to purchase more than one ad type, select one ad type now and then start the ad purchase process again for each other ad type. What do you want your ad to say? For text-based ads, please enter your text in the following fields, keeping in mind the size of the ad. We may make minor edits for space/readability purposes. You can also send us your original artwork for graphic ads. We apologize, but we do not design graphic ads for our customers at this time. Here you can specify the length of your ad campaign, as well as how many ads you want to be shown per day (the default maximum number of impressions per day is 2000 sitewide). If this seems a bit confusing, you can also set a cost limit for your campaign and we'll distribute your ad impressions evenly for the duration of the campaign (if you set an end date) or run the number of impressions/day until your payment runs out. The next page will show you a summary of your ad purchase, a total cost, and other payment details. You can review the request and modify it if you wish.